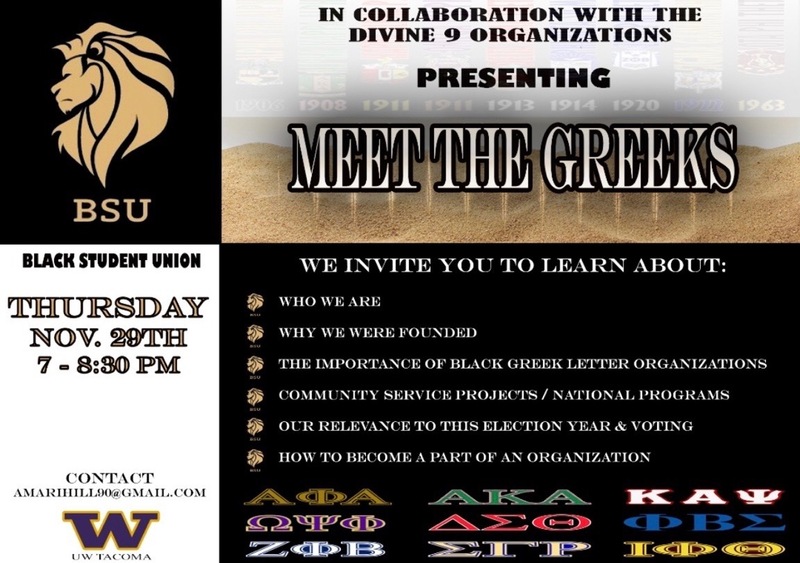 Thursday, Nov. 29, 2018, 7 – 8:30 p.m.
We've got a Meet the Greeks night going on! Come get to know some UW-affiliated Greek Life organizations, eat cupcakes, and chill out. Hosted by BSU, the event is in the WPH building on Thursday night.